This past weekend a Trump supporter disrupted a performance of A Bronx Tale, directed by Robert De Niro. Politics is poisoning every aspect of our culture. The protestor was likely responding to De Niro’s profane anti-Trump display at the Tony Awards. As a film maker who loves my craft and the people who make it possible, this cycle of outrage deeply saddens me. Especially De Niro’s rant. There was a time when actors were eager to overcome the stereotype that they are just pretty faces and toned physiques, who read the words of others whether or not they understand them. Whose first step to success is often a casting couch. Who will do almost anything for the sake of more publicity. Remember that from the ancient world up through the 18th century, actors’ work was deeply disparaged, and theater people ranked socially not much higher than prostitutes. I’d like to think we’ve all come a long, long way since then. The systematic sexual abuse of actresses by the likes of Harvey Weinstein, and industry’s enabling of it, point out that we still have far to go. Ronald Reagan helped transform the image of the actor. The Coen Brothers comedy Hail Caesar spoofs an era in the film industry when the personal lives of actors were rigidly managed by studios, who owned them in long-term contracts. It also shows an actor striving for intellectual seriousness, albeit by very misguided means — joining a Communist cell. Ironically, given the political preferences of most in entertainment, it was Ronald Reagan who helped transform the image of the actor. While his opponents pretended that he was merely an empty suit reading new lines, this time political ones, the public never believed it. And wouldn’t you know it? Scholars have shown that Reagan himself wrote the most important parts of key speeches, and had a strong moral compass that drove him — against advice, even from allies — to seek the complete abolition of nuclear weapons. 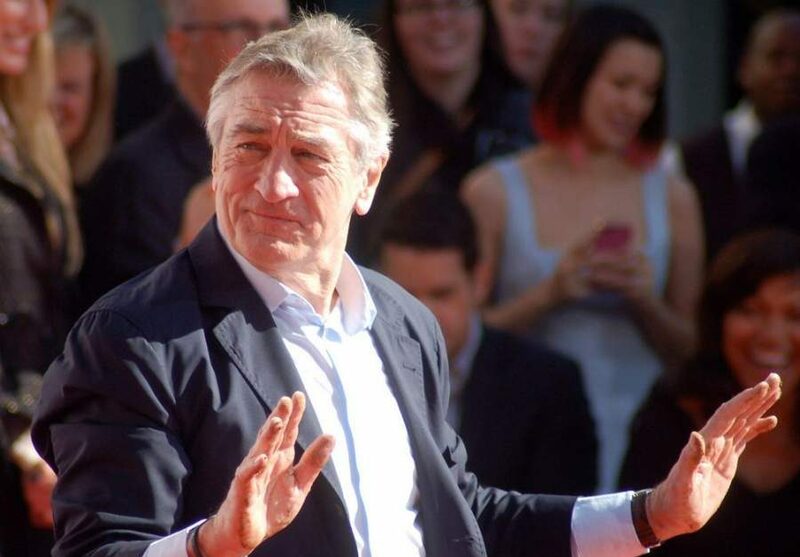 What rational answer could I offer Mr. De Niro when he bays at the crowd “F— Trump”? Or Michelle Wolf, when she makes the tragic choice of abortion into a vulgar, unfunny one-liner? Or Kathy Griffin, when she holds the bloodied wax head of a president, in a pose made infamous by terrorists who murder journalists? There is no civil, sane response to any of that. We find no common ground of reason and love for our country on which these people could meet me — or the countless Americans who look on, puzzled and horrified. This is not the language fellow citizens use when they disagree about politics. It’s the kind of incitement that historians of bloody civil wars look back on and analyze. Look back, read a little, and you will see that this was the kind of discourse that tore America apart before 1860. And Spain apart in the 30s. Americans don’t want their entertainers engaged in that kind of bomb-throwing. Speaking of the Tonys in particular … who is it that flocks the theaters in New York City? It’s mostly not solidly liberal NYC natives. It’s visitors from other states, many of them “red states” that voted for Donald Trump. Do we really want to tell them that they’re not welcome? That we represent a different tribe, which fears them, hates them, or holds them in contempt? And Mr. De Niro. What can I say? You’ve made a very good living portraying, in large part, “wise guys.” Men with little regard for the law, who use violence instead of persuasion. Is that really the persona you want to inhabit off-screen as well? Do you want to tell America that there’s nothing more inside you? That you really ought to be typecast for the rest of your career? That’s not what most actors want, personally or professionally. I’m surprised to see you fall into it. You also are helping to reaffirm the worst stereotypes which ordinary people might have of actors: good-looking, empty vessels, who in the absence of a script are barely articulate primates. The real political bias in Hollywood comes from the top. From the studios that serve essentially as investment banks. Also from the official credentialing institutions like the Academy, which runs the Oscars. In fact, many actors have to come to grips with Shakespeare as part of their education. They’re soaked in the work of the greatest mind in the English language. And those of us who know them in real life realize that their social, political, and religious views are diverse. Too bad that only the occasional courageous conservative like James Woods, Kevin Sorbo or Clint Eastwood takes the risk of speaking out. There’s an even more representative spread of American opinion behind the scenes in the entertainment industry. I’ve known conservative makeup artists, grips, and lighting pros. A construction coordinator — also a former Army Ranger, and a Vietnam vet who can still bench press 300 lbs — walks around Hollywood sets wearing a MAGA hat. One of the most successful stunt men in Hollywood is a black conservative. You can spot him on any set because he’s always wearing a patriotic hat. People who see that I wear a cross who take me aside and whip out their pocket New Testament. Likewise in the music industry. I once got a call from a major hip-hop artist who knew my pro-life work. His girlfriend wanted to abort their baby. I got him in touch with Alveda King (niece of Rev. Martin Luther King, Jr.), who helped convince her to choose life. The real political bias in Hollywood comes from the top. From the studios that serve essentially as investment banks. Also from the official credentialing institutions like the Academy, which runs the Oscars. Those people, the One Percenters, are the limousine liberals who give the entire industry a monolithic image. Of course I don’t mind thoughtful liberals who challenge America’s status quo. I think they should engage like every other citizen. But I want them to do it thoughtfully, not childishly. Not with profane rants or schoolyard taunts. I hope that the entertainment community can rise above the tribal groupthink that seems to have enthralled it. I pray that actors and others can remember that those whom they disagree with are human beings first. Fellow citizens second. And keeping those things in mind, I hope that they seek the best for our industry and our country, and start speaking to people accordingly. Thank you, Jason for bringing common sence into the situation. I used to actually think highly of DeNiro… but now, I do not appreciate him at all. How childish of a man of his stature in society to lower himself like that. That sentiment will TAKE AWAY our allegiance, and place it where it belongs! !… on those speaking Truth. Justice. Common sense. Rational thinking, etc. Stopped watching Hollywood years ago. The Kendrick Brothers, and the like, suit my entertainment wants quite well. Think about one of the most beloved entertainers of our time, Bob Hope. Everybody knew Hope was a Republican, and yet he was chummy with all the presidents and made jokes about both parties, without seeming mean-spirited. He was a uniter, not a divider. We have no entertainer like that at present, just people being very vulgar and malicious as they take swipes not just at politicians but at the millions of people who voted for them. This is not progress. Well said Jason! You’re doing great work for the Church, both in your film making and your commentary. Keep it up! !